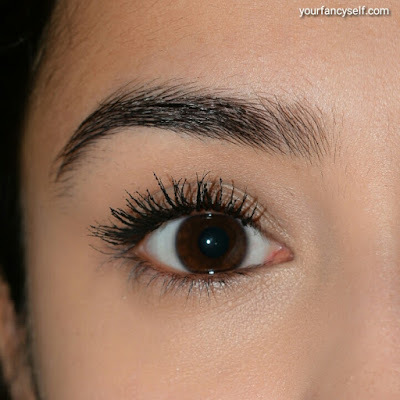 Maybelline the Falsies Push Up Drama Mascara Review - YOUR FANCY SELF! 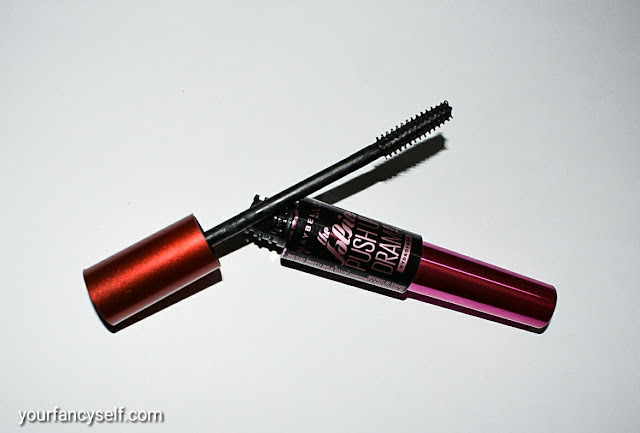 Todays' blog post is about a Maybelline Mascara I have been loving lately. I have tested it enough to give my thoughts on it. 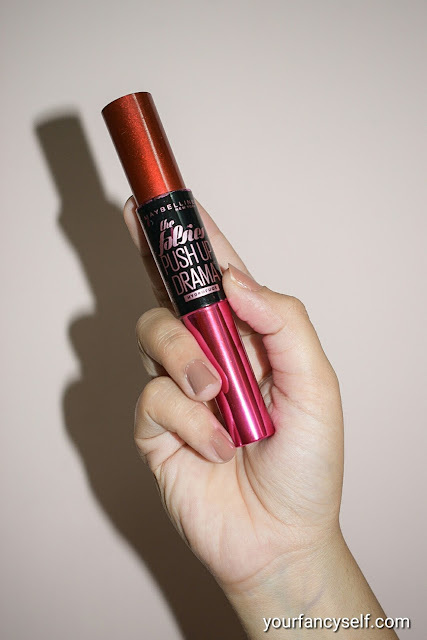 Maybelline the Falsies Push Up Drama Mascara is priced at Rs 550 and comes in two variants – waterproof and washable. I have purchased the waterproof one, even though the washable one is quite long wearing and does not drip off like the ones shown in movies. I prefer a waterproof version because I think in this humid weather its better to be double sure of the product and also I have sometimes observed that the waterproof one holds the curl a little better. The packaging of the product is sleek and sturdy. Looking at the tube it looks like the mascara is double-ended but it is not. It just has some weird double-ended shape, which isn't a problem anyway. True to its name, this mascara does add the drama of falsies. 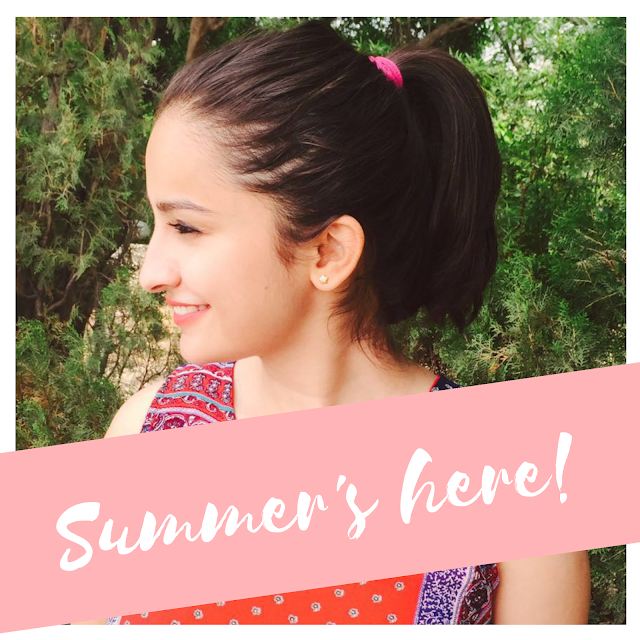 The wand has small stiff bristles with gaps, which is why it is able to lengthen and add that drama to eyelashes. Here is the closer look of the wand. If you have naturally thick eyelashes, trust me you won't ever stop using it and forget about falsies. 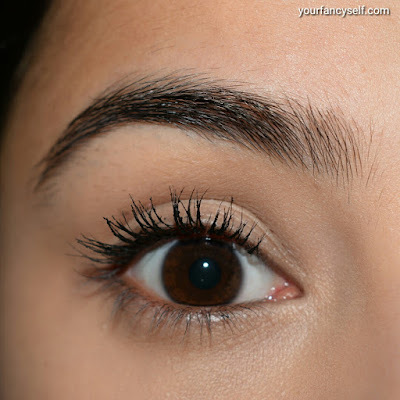 This mascara just completely changes the way your eyelashes look, so much drama and length. 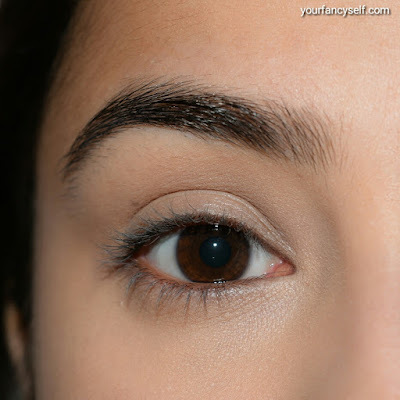 It adds just a little volume but elongates the eyelashes a lot. So if you have sparse eyelashes maybe use a volumizing mascara first followed by this one, you will thank me later for this tip. I have worn this mascara for the entire day, even till the bedtime and the eyelashes stays put and same throughout which is amazing for such an affordable mascara. I am never replacing this one. It can get clumpy if not applied properly and would literally look like the quills of a porcupine(LOL). 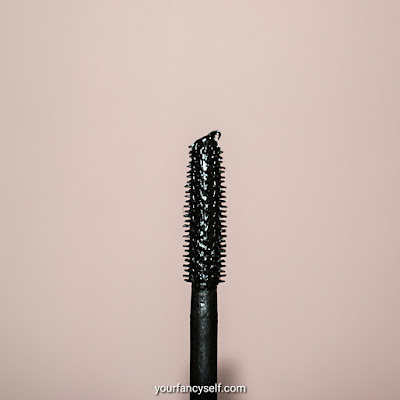 The waterproof mascara is very difficult to remove with a face wash so may be use some miceller water or even using any oil would remove it well. Removing waterproof mascara is a struggle but it is totally worth it. Just a tip, the newly opened mascara would be a little too liquidy to work with and you will end up clumping your lashes. So may be try leaving it open for an hour, so that it dries a little. 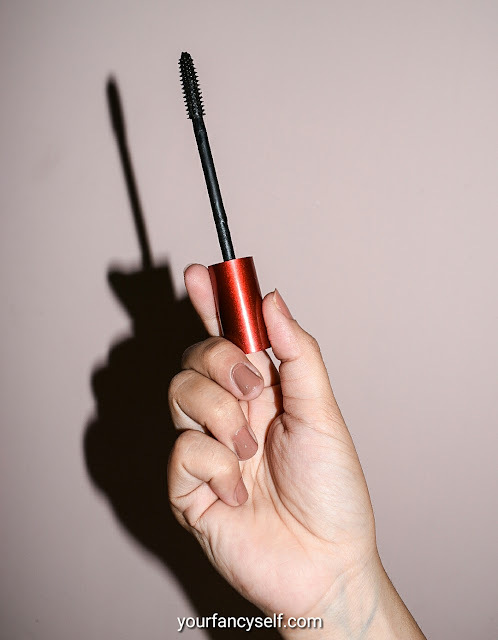 But if you feel paranoid about leaving it open, give it a few days and it will dry up just right for perfect lashes and by that time use it carefully. Overall, Its a must must must buy. You will thank me later. TBH 10 on 10!